These sound and look very interesting. I have never heard of them, but they look like a flat bread. Scratch that, the recipe calls them Crêpes. Fancy! I imagine the potato will make them nice and tender. First step to making these, is to boil potatoes. I can totally do that. Next step, is to use a potato ricer to mush them up. I can do that too. (Yep, I've got a ricer.) And then the potatoes get mixed up with some cream, butter, sugar and salt. Done and done. Lastly, the bowl of potatoes need to sit in the fridge for at least 8 hours or overnight (uncovered). I was only 5 hours in when I realized they should be uncovered. Woot-woot! Yes, I'm calling that a win (for me). 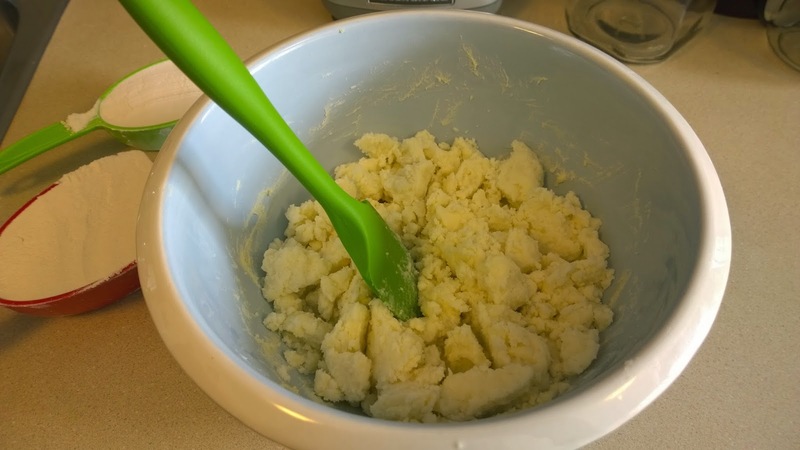 Potatoes are ready to be mixed with the flour. 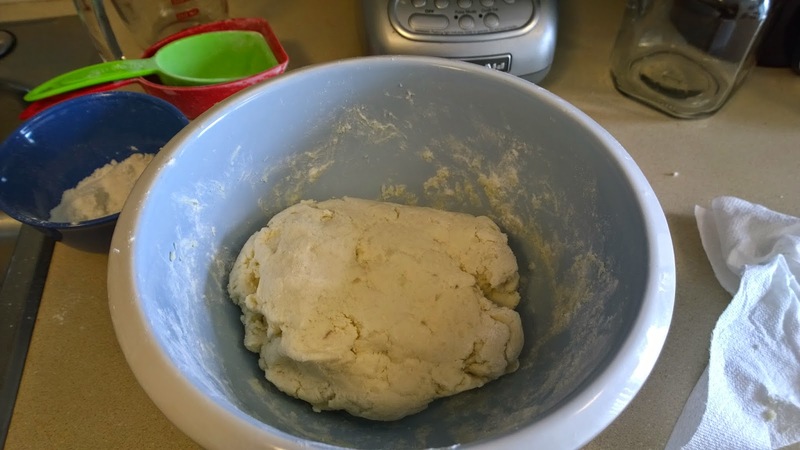 I'd say it looks like a regular ball of dough (to say it is just flour and the potato mixture). Interesting. 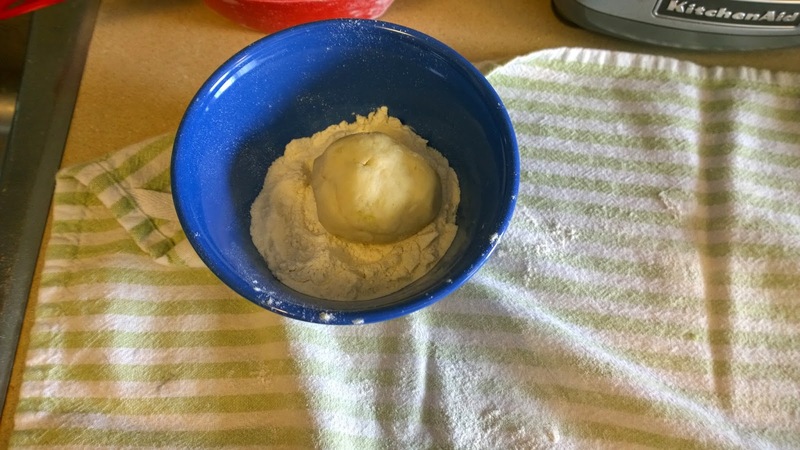 Smaller balls of the dough are ready to get rolled out. And as per the instructions, lots of flour is required. 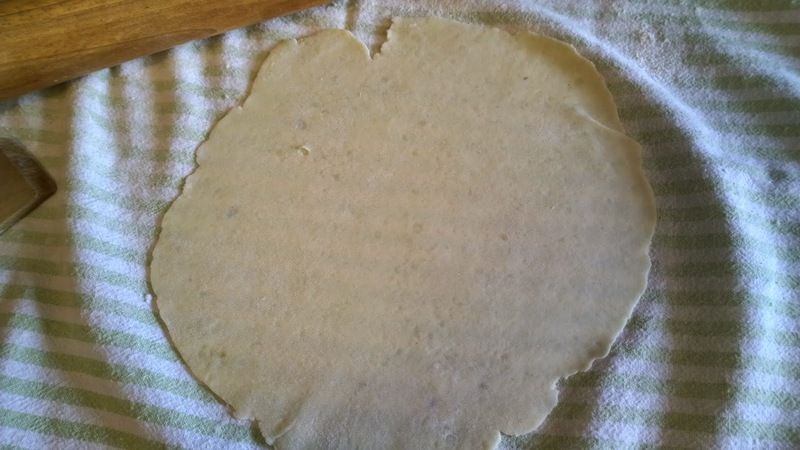 The lefse gets rolled super thin. (I just used my wooden rolling pin.) They're so thin, I can see the stripes of the towel through it. Eeek! I feel so brave (and crazy). Now I have to try and lift it! 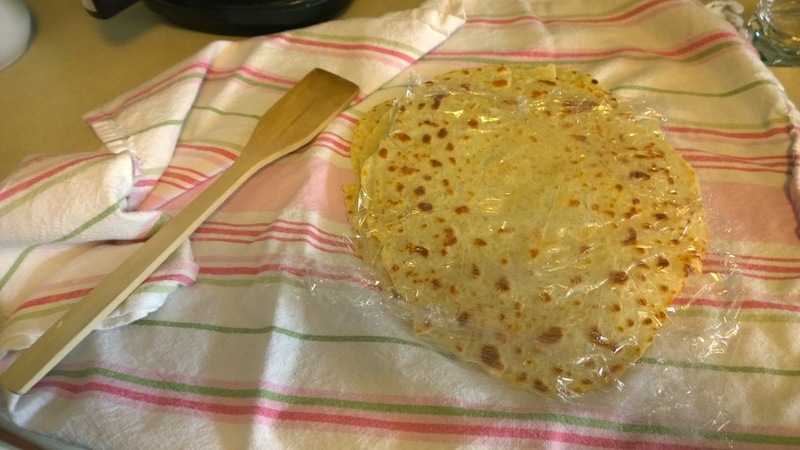 I didn't have any fancy lefse tools. I just used a wooden spatula. And it seemed to work great. 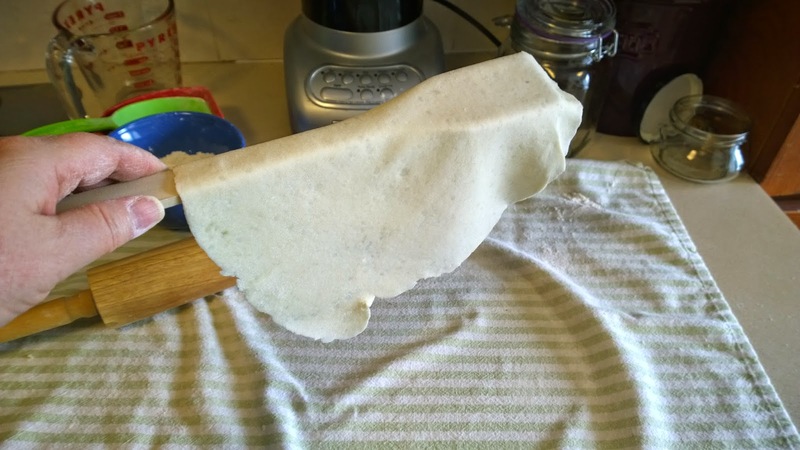 And it was very easy to actually lift the lefse as well. Yep, I'm pretty darn pleased right now. 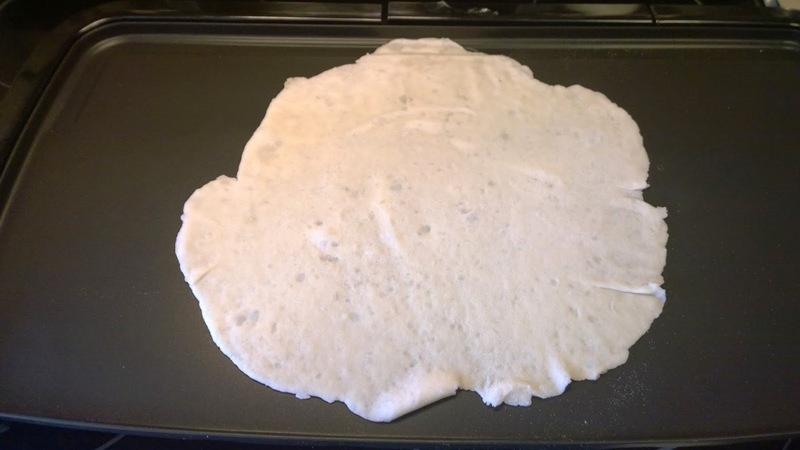 The lefse gets placed on a hot griddle. 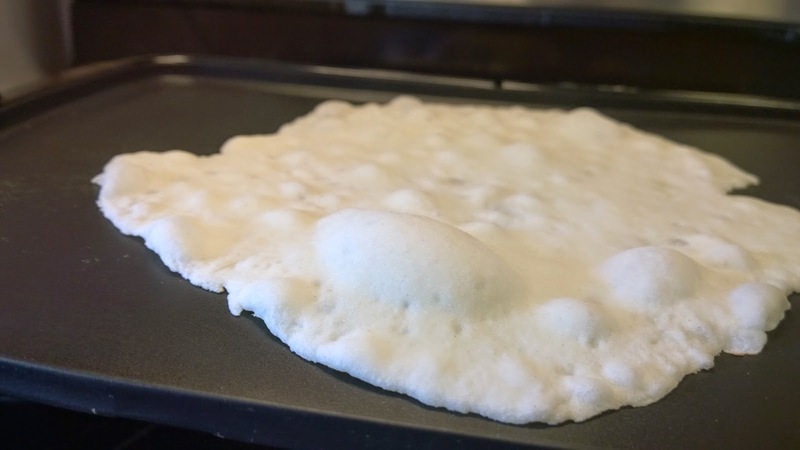 And after a minute, air bubbles form (a sign this is baking). Yay, it's working!! As this is a long process of rolling and baking. The baked lefses get put on a clean towel and covered with plastic wrap until all are finished baking. I think the usual filling for these is butter and sugar. I did try that, with a little bit of cinnamon as well. But for these ones, I used melted milk chocolate. 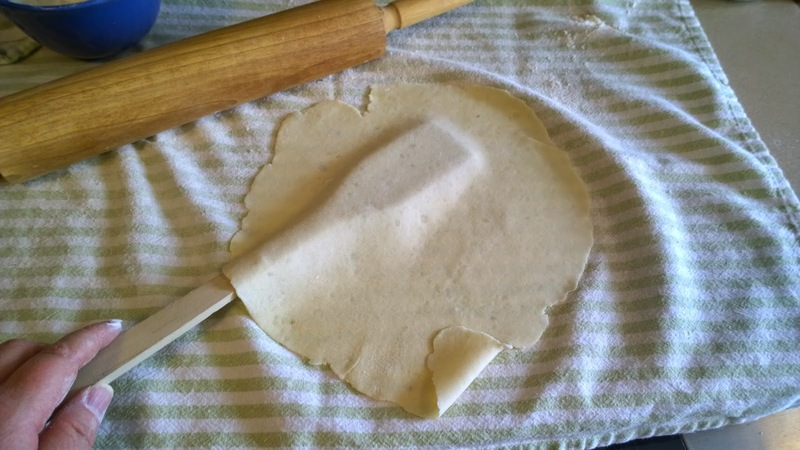 And unlike a crepe, these are rolled (almost like a tortilla) and hand held to be eaten. Interesting. Of course I couldn't make these without making them into a lefse suzette. This is the way to do it! And as a bonus, I didn't light the kitchen on fire while lighting up the grand marnier. 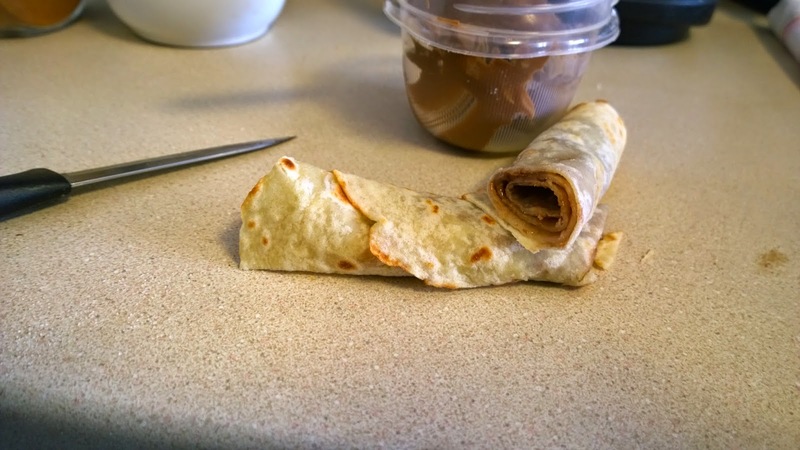 Winner, winner, Lefse dinner! Wow. You went a step or two above and beyond. Nice work! 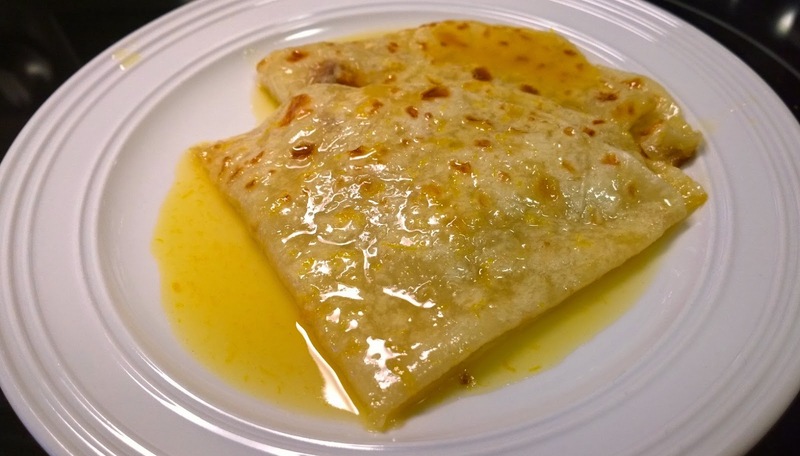 Lefse suzette! Wow. 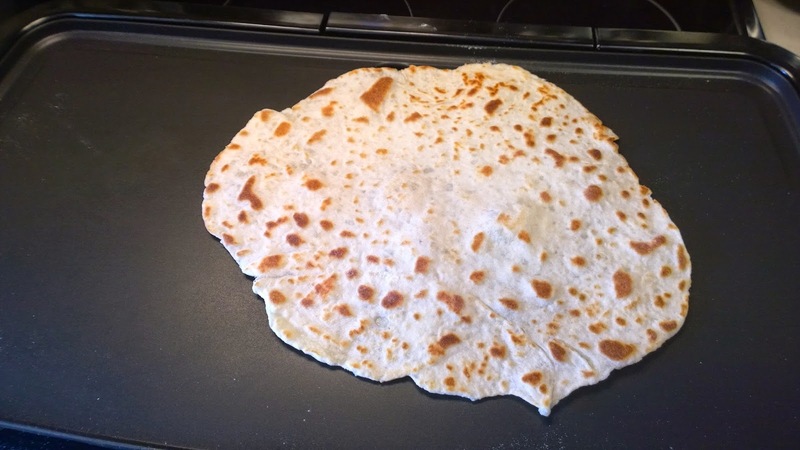 Your lefse look absolutely perfect. I love the suzette idea, would have to try it next time! Great post! The suzette looks delicous! Your posting made me smile - thank you! 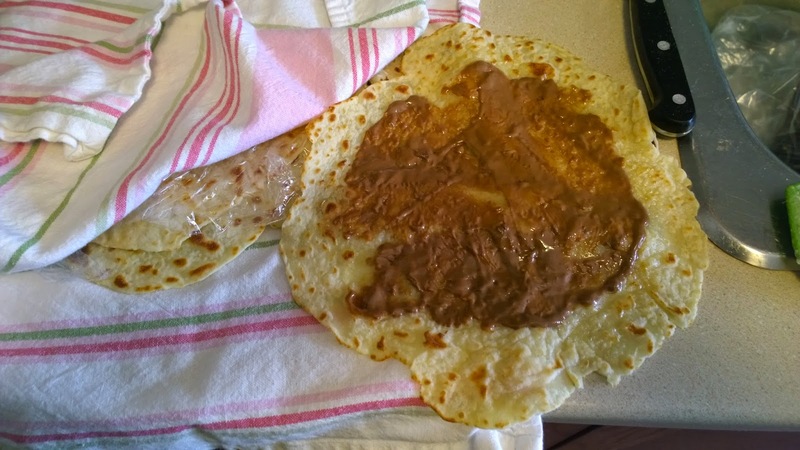 Love the 'winner, winner, lefse dinner' :) And the choco version - mmm! Yum, this looks good-so many variations on the flavors and they all are making me hungry! These look terrific! I think it will be my rewind selection for this month!! !